Kjartan Thanks for the advice! 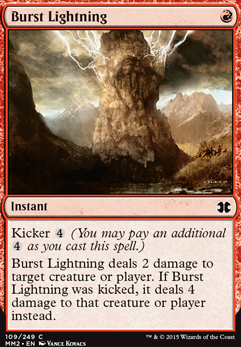 I’m thinking 2x Burst Lightning (that would bring me up to 4) could cover 2x Lava Spike , do you have any suggestions on what I could replace the 3x Risk Factor with? Lightning Strike would work, but I’m sure I could find something better. For the other 2x Lava Spike , I am on the fence. 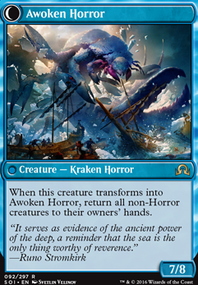 Maybe Abrade , or some other multi-use spell would work well. Any thoughts on that? The (ISD) at the end of my delvers worked! Thank you so much, it was a pain seeing it foiled. Hi weezle101, I like it! I'm not completely sold that you need the green in there though. Dual lands are expensive and it looks like the main cards you want the green in there for is Assassin's Trophy and Maelstrom Pulse , which you only have one of, and so the chances of that even coming out consistently in a game is pretty slim. 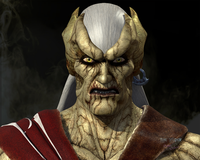 I might replace Assassin's Trophy with something like Bedevil ; or, I might just put even more burn cards in there like Burst Lightning , Disintegrate , Lava Coil , or Electrodominance . I might also think about maybe putting in 4 Pestilent Spirit in there, which would make any of your burn spells have deathtouch, which is pretty neat. Also, I try to stay away from putting in any one-drops, so maybe take out Maelstrom Pulse and replace it with another Engineered Explosives , so at least you have two in your deck floating around. Cryptic Command feels pretty out of place in a tempo deck; maybe Unsubstantiate ? 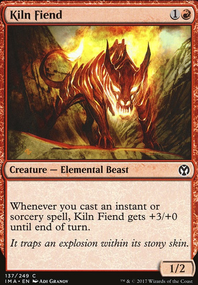 Skred could also be a consideration over Roast , depending on your meta -- or, just move Roast to the SB, since it can often be a dead draw. Burst Lightning or similar might be a reasonable consideration. One other possibility; Mission Briefing over Snappy-Do. Pros and cons; Briefing flips Delver, but Snap has the body. Snap is probably better overall, but it's a consideration. Ignatius I feel as though Noxious Revival Doesn't really fit into this sort of deck. The only reason to play Noxious Revival is that it makes infinity mana with an active Pyromancer Ascension and Manamorphose, Just like Remand and like Remand I feel that this is a massive trap. Sure the combo is powerful when done but I am probably going to winning the game anyways or gain enough of an advantage to win the game in a few turns time. Noxious Revival would be fine it was an already fine card without the combo but I think it is awful. 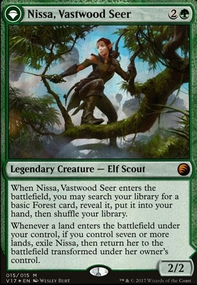 A card that puts a card on top of my library for two life seems woefully behind the power level of a format like modern especially since we already have Faithless Looting already in our deck that gives us card disadvantage. 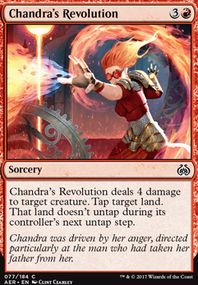 I haven't really thought about Boros Charm in this deck tbh. The big downside is that it doesn't interact with the board at all so it matchups were your the control deck (Spirts, Humans, Bridgevine, Elves etc.) it seems awful. However, it could be good versus some of the decks worst matchups (KCI, Storm and Ad Nauseam). 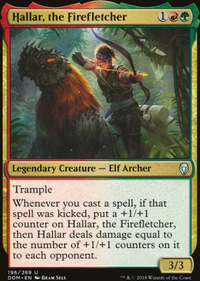 I don't think it should be in the maindeck because it makes us lose a good G1 matchup vs the creature decks but a few in the sideboard could be interesting. I'll definitely be giving it some thought. I'll also consider Snapcaster Mage as well. 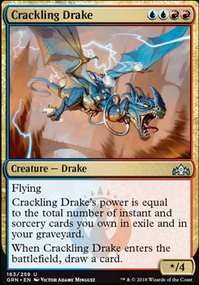 I have been trying to find a good replacement for Bedlam Reveler as it is the worst card in the deck by far and have been testing stuff like Burst Lightning, Crackling Drake, Mission Briefing and Ral, Izzet Viceroy to see if any of them are better. I'll try Snapcaster next.